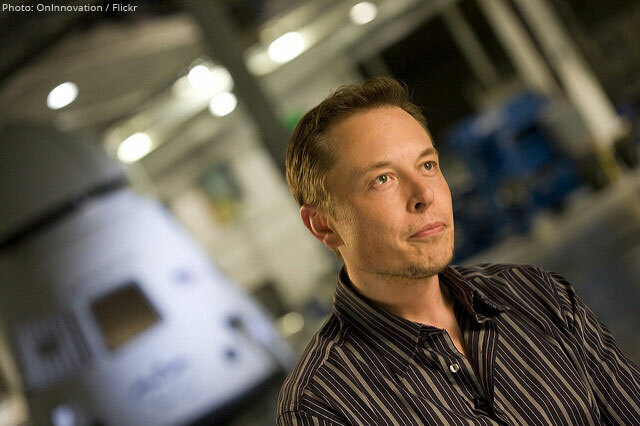 What stuff are highly-successful people like Elon Musk made of? The answer to that question is not that complex, and has nothing to do with things like DNA or high IQ scores. Elon Musk is now the 39th wealthiest person in the world with a total net worth of $21.2 billion, according to Bloomberg’s Billionaires Index. Although his annual salary is currently less than $46K a year, Musk was one of the top 5 highest paid executives in 2016. What’s most fascinating about the guy who runs both Tesla (NASDAQ:TSLA) and SpaceX is that he is a Thrillionaire! If your are wondering about the term’s meaning-this is how The New York Times has dubbed the new breed of high-tech entrepreneurs who are investing their new-found riches to help turn once considered futuristic impossibilities into reality. And there’s absolutely no question that Musk belongs to this category. He has already achieved so much with Tesla, which, with its EV disruptiveness has greatly influenced the automotive industry. The company has in fact been referred to as the Apple of the automotive world. Tesla’s new solar roof tiles and Powerwall storage systems are also a big deal as they encourage mass adoption of new and sustainable energies which could help save our planet and improve the quality of our lives. His other company, Space Exploration Technologies (SpaceX), based in Hawthorne, California has been making history as well. Just this March, SpaceX was the first company to ever prove the feasibility of a rapid and complete rocket usability through a first reflight of an orbital class rocket. Musk is also involved with his Hyperloop project, which is now handled by his other company called The Boring Company. The plan is to build a low-pressure tube above-ground where passengers can travel on pods at speeds of up to 700 mph. The futuristic transport system would run on solar power, although construction cost could still reach as high as $7.5 billion. Currently, Musk’s Boring Company is digging tunnels for an underground NY-Phil-Balt-DC Hyperloop. In addition to this, he is considering digging tunnels underneath Los Angeles’ Interstate 105 which could transport cars on electric skates or as a support for a high-speed rail. Musk may also opt to use the tunnel for a high-speed rail connection between Chicago and O’Hare International Airport, a matter under discussion with Chicago authorities. As you can see, this thrillionaire is definitely not running out of ideas for building a better and more exciting future for the mankind. Where do these ideas and extraordinary passion come from? Musk has admitted that he had experienced bullying during his South African childhood days. He found comfort and great inspiration from books. “The heroes of the books I read, ‘The Lord of the Rings’ and the ‘Foundation’ series, always felt a duty to save the world,” Musk told Tad Friend in an interview for The New Yorker. He also said that he has been deeply influenced by Benjamin Franklin’s: An American Life” and Einstein‘s : His Life and Universe. There are other books obviously which have empowered Musk with knowledge and faith in realizing his dreams, even if at first these were only science-fiction fantasies. After all, their realization is actually for the betterment of humanity. He’s not attempting to be “anyone’s savior,” as he puts it, but he just wants a brighter, happier future for humanity. Among the best lessons Musk has learned in life is the value of seizing the moment or opportunity. In an interview with The Guardian, he shared what he had learned from Isaac Asimov’s The ‘Foundation’ trilogy. From a kid who was being bullied to a successful entrepreneur and billionaire, every one of us can learn something from the life, passion, and accomplishments of Elon Musk. Especially the young generation, who in spite of technological advances, still undergo the pains that we adults have experienced with some of us ending up broken and scarred. But, reading the right kind of stuff really helps, really empowers, and inspires. Raising children with love for knowledge will not only help them become stronger, they will be better people who will build a better world.